Importers & Exporters of New & Used Engines, Gearboxes, Generators & Motors Spares to the Motor Industry. Importers & Exporters of New & Used Engines, Gearboxes, Generators & Motors. Spares for Gearboxes & engines on most makes and models. Complete ADE engines and parts for sale. 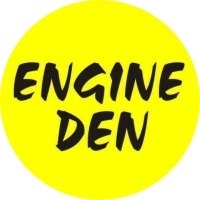 Tags: New Engines, Used Engines, Alfa, BMW, Daewoo, Daihatsu, Honda, Hyundai, Isuzu, Jaguar, Kia, Lexus, Mazda/Ford, Mercedes, Mini, Mitsubishi, Nissan, Opel, Smart, SsangYong, Subaru, Suzuki, Toyota, Volvo, Vw / Audi, Complete ADE Engines, ADE ENGINES, 352 engine, 366 Engine, 314 Engine, 364 Engine, 366TI Engine, 360 Engine, 360 Engine, 422 Engine, 407 Engine, 442 Engine, New Engines, Used Engines, Alfa, BMW, Daewoo, Daihatsu, Honda, Hyundai, Isuzu, Jaguar, Kia, Lexus, Mazda/Ford, Mercedes, Mini, Mitsubishi, Nissan, Opel, Smart, SsangYong, Subaru, Suzuki, Toyota, Volvo, Vw / Audi, Complete ADE Engines, ADE ENGINES, 352 engine, 366 Engine, 314 Engine, 364 Engine, 366TI Engine, 360 Engine, 360 Engine, 422 Engine, 407 Engine, 442 Engine, 300 Series Compressor kit, 300 Series Block New, 300 Series Camfollowers, Ade300 series Camshaft Gear, Famaru 300 Series Compressor 4 BOLT, Famaru 300 series Conrods new type, Famaru 300 Series Exhaust/Inlet Valves, 300 SERIES NORMAL FUEL/LIFT PUMP, 300 Series Oil Cooler covers, 300 Series Oil FILTER, 300 Series Plastic Fans, 300 Series Rocker Shaft Set, 300 Series Thermostat, 300 SERIES TURBO FUEL/LIFT PUMP, Famaru 300 Series Wearings, Ade 314/364 Crank new, Ade 352/366 12/24v Starter, Ade 352/366 Cylinder head complete, Ade 352/366 Turbos, Ade 364 Block, Ade 366 Crank sussin, Famaru 400 Series Camfollowers, Ade 400 Series head sets ,400 series Starter, BF Germany 400 Series Water Pump , Ade 407/447 Crank new, Famaru 422 /442 Mains Ade422/442 Normal Camshaft, Ade422/442 Turbo Camshaft, Famaru 442 Sputter R/ending, Ade 352/366 Sub assembly brand new, Crankshaft, Cylinder Head, Head Bolts Set, Conrod Bolts, Sleeve Kit, Gearboxes, Spares.